Residential and Light Commercial - Over 4000 units successfully installed across Brisbane! All installations include a 5 year warranty, in conjunction with Daikins 5 year manufacture warranty! Consultation, Design & Quote, Installation, Post Sales Servicing. Air conditioning is an important part of your home; finding relief from the heat of summer or the cold of winter is dependent upon your air conditioning system. Most homes can easily accommodate a high quality air conditioner unit. At Crown Power, our team of air conditioning installation Brisbane experts specialise in the installation of high quality air conditioning systems, whether it involves retrofitting to an older home or installations in some of Brisbane’s newest homes. The Crown Power team is also very experienced in light commercial air conditioning systems such as hairdressing salons. When looking for air conditioning installation companies, the first place most people start is to do a few online searches for Brisbane Air Conditioning Installation, Air Conditioning Installation Brisbane, Air Conditioning Installers Brisbane or Air Conditioner Installation Brisbane. No doubt this will result in a wide selection of companies, but none compare to the professionalism, value for money and service offered by Crown Power. To discover why Crown Power is the most trusted Brisbane air conditioning company, call us today or get in touch using our online enquiry form. 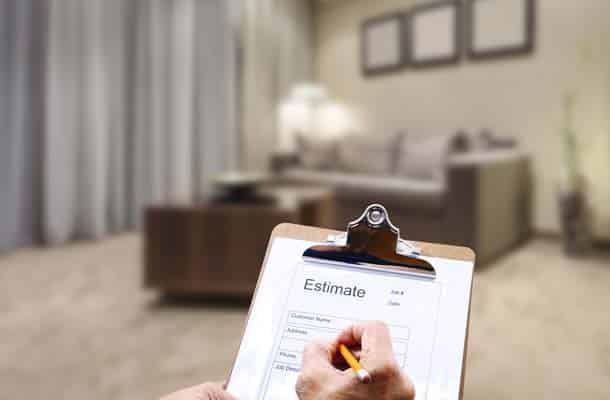 It’s very difficult to give an accurate idea of pricing for the sales and installation of a new air conditioning unit, but residential installations can range from $1500 to $30,000. Given that this is an significant investment, it’s important to have your air conditioning system installed perfectly. At Crown Power, our qualified Brisbane air conditioning installers have the expertise necessary to offer you the best advice on every aspect, from the type and capacity of air conditioning system that will best suit your needs, to the ideal location for the indoor unit (fan coil) and the outdoor unit (compressor). Crown Power’s design expertise will ensure that you get the most in energy efficiency and comfort levels from your newly installed air conditioning system. We have installed over 4000 units across Brisbane and the Sunshine Coast over the last few years. Our experience and knowledge makes us the number one choice for Brisbane air conditioner installation. Discuss your air conditioning options with our expert staff! Accepted file types: jpg, png, pdf, docx. Being a locally owned and operated business, we understand Brisbane’s hot and humid climate and the importance of having a top quality unit combined with the best air conditioning installation. You need an air conditioning system that works effectively day in day out, even in the middle of summer on a 36 degree day when all the family is in your home for a big Christmas lunch! The effectiveness of your system is determined by the capacity and distribution of the air. Equally important is the quality of the system and the installation. Leading brands plus experienced Brisbane air conditioning installers is the essential recipe for reliability. Crown Power will design and complete your Brisbane air conditioner installation to the highest standards and you can be assured that it will provide excellent comfort every time you turn it on. In addition to single-split systems, we offer a range of multi-split systems that can be used in several different circumstances. These systems can be used to minimise the number of outdoor units for multiple rooms. This can be for aesthetic reasons; or because of limited space for the outdoor units (compressors); or in the case when a body corporate will only allow, for example, one compressor (outdoor unit) on a balcony. Multi-split systems are also useful in new houses, which are now designed with very low-pitched roofs to maximise living space while keeping under the council height restrictions. In some cases the conventional ducted system will not fit in the limited roof space and a multi system incorporating bulkhead ducted units is an excellent solution to this problem. Our professional air conditioning installation Brisbane specialists bring to you the experience of over 4000 installations from Yatala to Maroochydore; they are well equipped to provide the best advice as to which option will suit the layout and design of your home, whilst achieving your desired outcome in an efficient and effective manner. As well as this, we offer ducted air conditioning installation options. These systems are some of the most energy efficient systems available on the market – they include features such as active zoning in your home and a five-year guarantee (all equipment and installation come with a 5-year guarantee). We have all the expertise necessary to install one of these units in your home or office and are authorised installers of Daikin air conditioners – one of the international leaders in air conditioning systems. There are a number of benefits associated with hiring our skilled Brisbane air conditioning installers at Crown Power to install your air conditioning system. Most notably, effective installation ensures that your unit is operating at its most efficient. Poor placement or inept installation can result in your air conditioner consuming more electricity than it ought to and operating at lower productivity – costing you more money on your power bill as a result. Here at Crown Power, we guarantee the best possible installation of your new air conditioning unit, in a manner that keeps it working effectively and efficiently to meet your needs at no unnecessary cost to you. We provide a complete service, from the initial assessment of your home, to installing and maintaining your new unit, as well as assistance with ongoing sales and support. 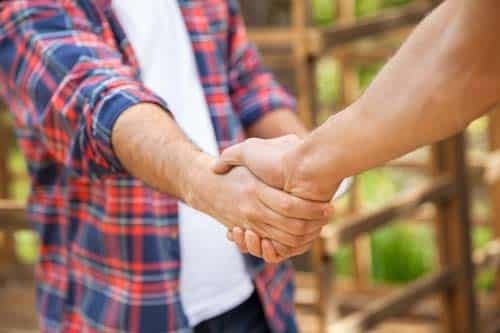 Our team understands the importance of using a local Brisbane air conditioner installer that you can trust, so we’ve taken every step to ensure that you can rely on us and the team at Crown Power. We are fully licensed and have all the necessary accreditations to complete your air conditioning installation to the highest possible standard. For more information, see our ‘about us’ page or contact us today and arrange a consultation; we can provide you with a perfectly tailored air conditioning installation. Here at Crown Power, we have used our extensive experience in air conditioner system design and installation to develop our installation process in a way that caters for your needs both effectively and efficiently. 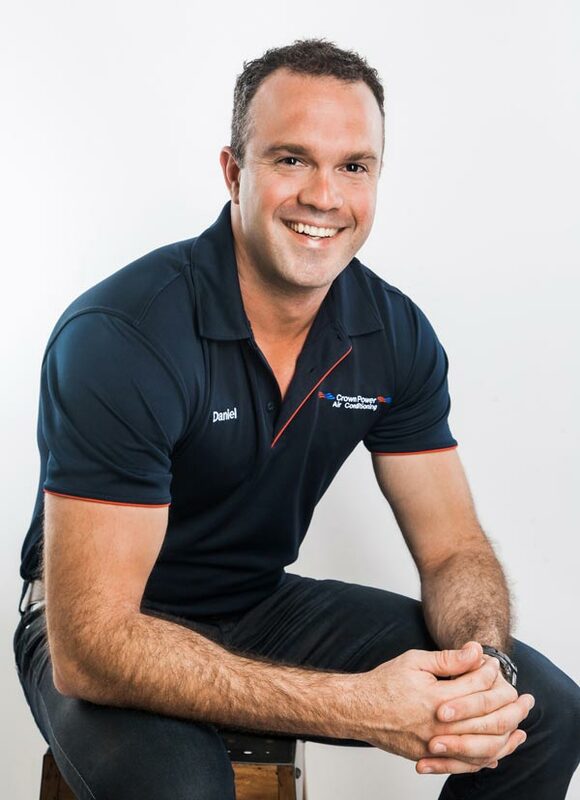 Our Brisbane air conditioning installers will guide you through the entire process – from selecting the best air conditioner and designing the air conditioning system layout, to installing it and ensuring that your newly installed air conditioning system provides you with the highest level of comfort and reliability, at a minimal operating cost. Our process begins with a short consultation to discuss your needs and situation. You can arrange an appointment with one of our helpful team members through our online contact form. Alternatively, you can call us for advice, or make an appointment with one of our experts. We recommend on site consultations whether it is an established home or a new home. The Crown Power Brisbane air conditioning installer will take all necessary measurements to assist in the selection of the best system for you. The installer will also inspect the switchboard and provide advice on the suitability of your incoming electrical mains. Our air conditioning installers can visit you after business hours; in fact, we have found this to be a good time because you will usually have more time to ask questions in a more relaxed environment. There is a lot of information to share about your air conditioning choices and we see our role as providing information so that you can make an informed decision. After all, you are making a significant decision about an investment that has a lifetime in excess of ten years. Air conditioner installations are not like a hairstyle – you can’t change your mind next week if you don’t like it! Our consultations are obligation free and we consider them an opportunity for us to win your trust. Following our consultation we will provide you with a written firm quote with no hidden surprises to cause you angst at a later date. An assessment of your home/premises including the size of the rooms, the heights of the ceilings, type of roof/ceiling insulation, size of windows and aspect to the sun, as well as the construction materials of the premises, brick, timber clad, cement sheet, tiles, colourbond, etc. 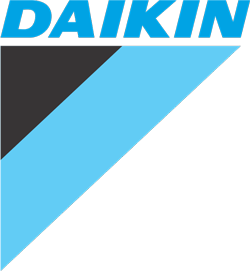 Our team of experts will prepare a design/layout incorporating the Daikin model (or alternative brand) most suitable for your needs. This will range from a simple verbal description for room air conditioners to a detailed layout for integrated seamless ducted systems. A firm written quotation will be provided including optional extras such as Gecko treatment and smart phone control systems. In this quotation your ‘peace of mind’ 5-year installation warranty will be confirmed together with the Crown Power payment terms. The quotation is firm with no hidden extras. When you accept the quote and design recommendations that we provide you, our team will arrange a date and time for the installation to take place. All of our Brisbane air conditioning installations within existing premises are started and completed on the same day so as to minimise any inconvenience to you. Apart from exceptional circumstances, Crown Power always installs on the agreed date. We will install your new air conditioning system to the highest standards. All work will be done to, and exceeding the relevant Australian standards. We treat your premises as our own – we put down drop sheets and clean up after the job has been completed. There will, however, be some airborne dust that will land on horizontal surfaces. We recommend for sensitive furniture and fittings that you provide and fit covers. We install split system air conditioners as well as ducted air conditioners and both of these systems are useful in different circumstances. For more information on our split system installations, please see our page on split system air conditioning and for details on our ducted air conditioning installations, please see our ducted air conditioning page. Once we have completed your Brisbane air conditioning installation, you’ll be enjoying your comfortable, reliable, low running cost, peace of mind air conditioning system. At this stage, we’ll invoice for the work, as we’ll know you are totally satisfied with the work done. After payment has been received your job is entered into our database and your peace of mind 5 year warranty commences from that date. We recommend that your system be serviced every 12- 18months. Regular servicing ensures your air conditioning system runs at its rated efficiently and will ensure early detection of any warranty issues. Here at Crown Power, we specialise in installing air conditioning systems that are specific to your needs, so if you are seeking an air conditioning solution that is perfectly suited to your home, contact us today. By booking a consultation through our online form or over the phone with one of our expert Brisbane air conditioning installers, you can complete the first step in the installation process and get advice on effective air conditioning solutions from the best in Brisbane. Our staff will guide you through the process to ensure that you understand each and every step – we encourage you to contribute to the process and let us know exactly what you want. #1 Do I need to be home for the entire air conditioning installation process and how long does it take? Yes. You must be available on the day of your air conditioning installation to reconfirm with the installers the location of the indoor unit, the outdoor unit and the type of pipe run, location of supply air diffusers and return air grill. After all details have been confirmed our local Brisbane air conditioning installers can complete the installation without you being present. Ideally you would be home for the duration of the installation process. This is simply because we strive to deliver precisely what you want and doing so can often require clarification throughout the unit’s installation. With your consent, however, we could conduct your air conditioner installation without you being home for the entire time. #2 How do I choose the right size air conditioner for my home? #3 What maintenance is required for me for my new air conditioner? 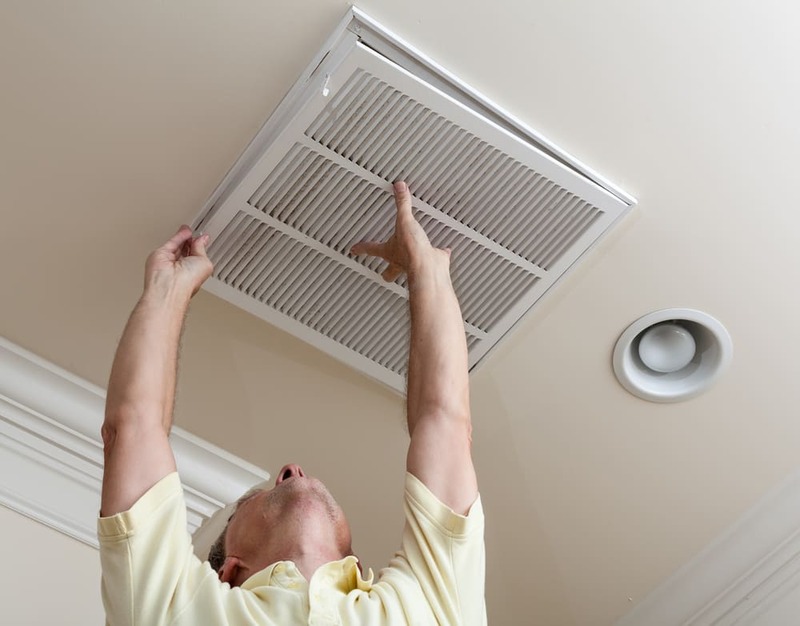 To ensure that your air conditioner is operating at its most effective and most efficient, there are a few small steps you can take, which we’ll normally run through with you at the end of the installation. The most notable of these is the regular cleaning of your air filters. Cleaning your air filters will maintain cool, clean airflow through your air conditioning unit. We encourage you to ask your air conditioner installer to demonstrate how this can be done. Additionally, we recommend that you inspect your outdoor units with some frequency to ensure that no obstacles have been placed in front of the compressor that will restrict the airflow. This might also involve cutting back thick shrubs or bushes. #4 Are your Brisbane air conditioner installers and technicians licensed? Here at Crown Power, we demand the best in quality and results for our customers. 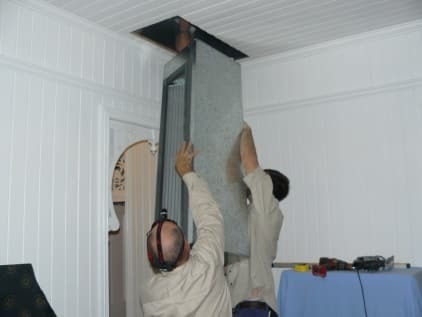 As a result, our team consists of only the most proficient and skilled technicians in Brisbane. All of our operators have undergone the required training and hold valid licences to provide you with the best service throughout the entirety of the process. All of our air conditioning installations are completed to comply with Australian standards and our accredited air conditioning installers ensure these standards are adhered to every time. #5 What is covered in my warranty once the air conditioning installation is complete? Your warranty includes all parts and labour to repair any fault not caused by misuse. Your ‘Peace of Mind’ 5-year warranty covers all labour and all components of the entire system including the workmanship and materials used in your air conditioning installation. The most common fault throughout the industry is a gas leak and our warranty covers this for 5 years. Gas leaks are expensive to repair so ensure that, whatever system you choose, the entire installation is covered for gas leaks (for whatever reason) for 5 years. To provide you with the peace of mind associated with knowing your air conditioner is protected, we offer a comprehensive warranty following all installations. #6 Why is Crown Power the most trusted air conditioning installer in Brisbane? Here at Crown Power, we understand that you are looking for an air conditioner installation specialist that you can trust. We’ve built our reputation on trust and we guarantee you can trust us. We are fully accredited and qualified to undertake your air conditioning installation and we strive to ensure that you feel informed and comfortable throughout the duration of the process. We see our consultations as an ideal time to gain your trust and demonstrate that you are our number one priority. Our process is customer oriented and combines a wealth of knowledge and experience with an unfaltering dedication to achieving the best outcome for you. © 2019 Crown Power .